You are browsing the archive for OEP. Thinking of doing a PhD in Open Education? Sounds like a good idea, yes? Well, I guess I could tell you some stories. In my case, I started my PhD, working in a EU funded project on Open Education. Getting funding from an Open Education project sounds like a good idea: You can work in the project while making your PhD – none of that Grant nonsense in which no one pays you when you get ill, forget about pension… And there is the willingness to share in this community: Data collection surely cannot become an issue – in the open community, everything is freely accessible, right? I started my PhD working on the quality management of open educational resources (OER) repositories back in 2007, when the OER boom was rising, first repositories had been built and it was all promising and exciting as at that time, the European Union was particularly keen on funding projects around Open Education, as since UNESCO’s declaration of OER back in 2002 this community was expanding. I thought I could probably finish in the standard four years. However, even back then, the projects around OER tend to last for 2-3 years and I soon realized that these repositories only kept on growing in their user and resource base, until the project’s funding ended. After there was no EU support, many repositories became graveyards of bad metadata and broken links, where no one ever visited. My experiences urged me to get interested in these repositories success… Why are they all failing? It is impossible to study a repository, which disappears after three years or is actually turned into an entirely different repository. How can you study something that is not there anymore? 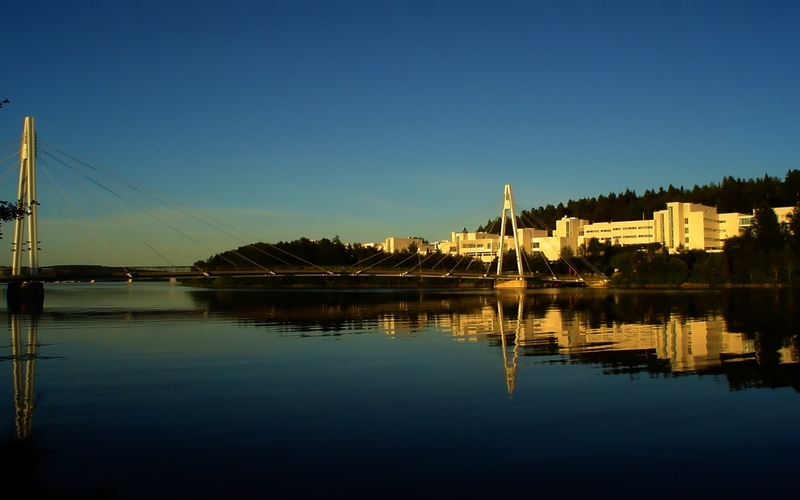 These are the challenges of Open Education: When the funding ends – who cares about it? What is the motivation for people to keep on working around the materials, technologies or content, if no one is getting paid…? I was working on another project after my initial one had ended and I visited conferences and workshops to try to find out the answer. There are some promising cases of repositories still being around even, after the initial funding has ended. But in all of those cases, someone must care. Maybe it is a ministry of education within a country is encouraging the teachers to all go into the portal and upload some content. Maybe it is that the community itself cares because they realize that they can get quality materials and help from their peers. But unless someone takes the responsibility and interest, nothing is going to happen. I was not the fastest person to write a PhD, just look at my record. I wrote my research plan 5 years after I had gotten the initial idea to start this work. And finished in 4 years from that. I got involved into the European projects and project work is time away from research. But maybe it was not all my fault. When I started with my PhD, I had a clear research plan: I am going to build a behavioral model, have a dependent variable and test it with the user community of thousands of teachers from 22 countries around Europe. That’s what I thought. What I did not count on though, was on how hard it is to get people to answer questionnaires that are long. And they needed to be long enough to provide me the evidence of my phenomenon through structural equation modelling. I needed to rely on the country coordinators and workshop organizers to collect the data, which was a negotiation process itself. The whole preparation of the questionnaire also needed to be negotiated within the project’s working group, through an open discussion: Do we really need to ask the teachers about this and that… Finally after one year of negotiations, there were two closed questions left in the questionnaire on Quality of OER, which was my topic. Needless to say that this data would not be enough for completing a PhD, so I had to change strategies and go qualitative. Open education as a field, provides us with many opportunities: To meet new people who might potentially help us. Who might open the doors to a faster and easier way of completing our PhDs. Open education as a field also opens the doors to many voices, which might have agendas that are not in line with your PhD topic – well, let’s just say they never are… PhD students have to be careful to stay on their target – more open means more opportunities, but also more potential to get lost and distracted. I certainly would do many things different if I started my PhD today. But that’s what it is supposed to be: Another opportunity to learn. Open education means freedom, but also responsibility. You are in charge of making it happen, making sure you learn and your papers get written. Open Education is a rewarding, rich and giving playing field when you get a hold of it; so remember to have fun in the process, even through your struggles. You can do it! 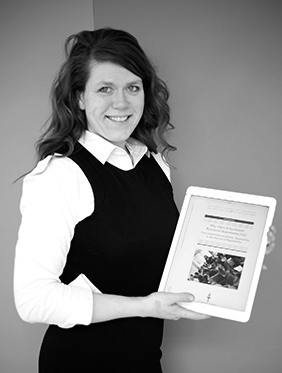 Kati Clements is a project researcher in University of Jyväskylä, Finland and a visiting professor in Xi’an Jiaotong University. 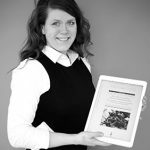 She finished her PhD in April 2016 on the title of: “Why Open Educational Resources Repositories fail – Review of Quality Assurance Approaches”. She has been working on the field of Open Education since 2006, in various EU funded projects such as Cosmos, Aspect, Open Science Resources and Open Discovery Space. Clements is currently working on a PCP (Pre-commercial procurement) project IMAILE which is developing innovative personal learning environments for the 21st century schools’ needs. A Scuola di OpenCoesione ( ASOC), from Italian, translates as Open Cohesion School. It can be understood as an educational challenge and a MOOC (Massive Online Open Course) designed for students in Italian secondary schools. ASOC was launched in 2013 within the open government strategy on cohesion policy carried out by the National Government, in partnership with the Ministry of Education and the Representation Office of the European Commission in Italy; it is also supported by the European Commission’s network of “Europe Direct” Information Centres. The third edition of ASOC was launched in November 2015. While you are reading this post, about 2800 students and 200 teachers are involved in a collective learning experience focused on civic monitoring of public funding through open data analysis, and also by visiting sites and conducting “data journalist” research. The main objectives of ASOC are to engage participating schools in actively promoting the use and reuse of open data for the development of civic awareness and engagement with local communities in monitoring the effectiveness of public investment. The participating students and teachers design their research using data from the 900,000 projects hosted on the national OpenCoesione portal in which everyone can find transparent information regarding the investment in projects funded by Cohesion Policies in Italy. The portal provides data including detailed information on the amount of funding, policy objectives, locations, involved subjects and completion times: so schools can select the data they want to use in their research, which can be related to their region or city. The teaching and learning programme is designed in six main sessions. The first four sessions aim at developing innovative and interdisciplinary skills such as digital literacies and data analysis to support students to assess and critically understand the use of public money. Students learn through a highly interactive process using policy analysis techniques, such as tackling policy rationales for interventions, as well as understanding results and performance. This process employs “civic” monitoring to work on real cases using data journalism and storytelling techniques. During the fifth session, and based on their research projects on the information acquired, the students carry out on-site visits to the public works or services in their region or city which are financed by EU and national funds, and also they interview the key stakeholders involved in the projects’ implementation, the beneficiaries and other actors. Finally, the sixth session is a final event where students meet with their local communities and with policy-makers to discuss their findings, with the ultimate goal to keep the administrators accountable and responsible for their decisions. Here you can find all the video sessions and exercises: http://www.ascuoladiopencoesione.it/lezioni/. The teaching method combines asynchronous and synchronous learning. The asynchronous model is designed following a typical MOOC (Massive Online Open Courses) style where participants learn through a series of activities. Teachers are trained by the central ASOC team through a series of webinars. The synchronous in-class sessions share a common structure: each class starts with one or more videos from the MOOC, followed by a group exercise where the participants get involved in teacher-led classroom activities. These activities are organised around the development of the research projects and reproduce a flipped classroom setting. In between lessons, students work independently to prepare data analysis reports and original final projects. Also, in order to have an impact on local communities and institutions, the students are actively supported by local associations that contribute with specific expertise in the field of open data or on specific topics such as environmental issues, anti-mafia activities, local transportation, etc. Furthermore, the European Commission’s network of information centres “Europe Direct” (EDIC), is involved supporting the activities and disseminating the results. On ASOC’s website there is a blog dedicated to sharing and disseminating the students’ activities on social networks (see here ASOC in numbers). ASOC’s pedagogical methodology is centred on specific goals, well-defined roles and decision-making. This has allowed students to independently manage every aspect of their project activities, from the choice of research methods to how to disseminate the results. On the other hand, the teachers are also involved in an intensive community experience that allows them to learn not only from their own students, but also from the local community and from their fellow teaching peers involved in the project. Ultimately, this takes the form of a collective civic adventure that improves the capacity to form effective social bonds and horizontal ties among the different stakeholders, actors of the local communities. In fact, detailed Open Data on specific public projects has enable new forms of analysis and storytelling focused on real cases developed in the students’ neighbourhoods. This, in turn, has the key goal of involving the policy-makers in a shared, participatory learning process, to improve both policy accountability and the capacity to respond to local needs. Chiara Ciociola Is the community manager of the project A Scuola di OpenCoesione at the Department for Cohesion Policies, Italian Presidency of the Council of Ministers. She holds a BA in Political Science, with a focus on New Media and Journalism at University of Florence and a MA in Digital Storytelling at University of Turin. 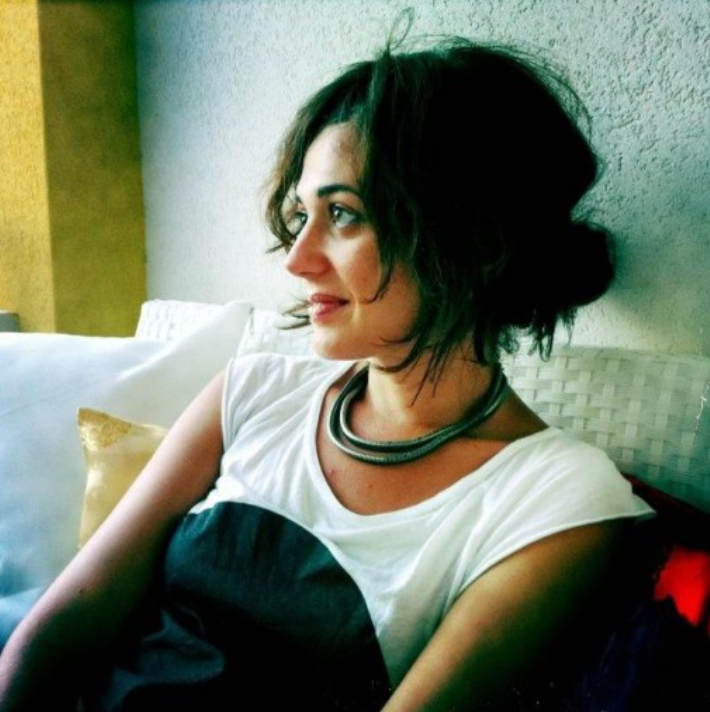 In 2013 she founded Monithon Italia, a civil society initiative for citizen monitoring of EU-funded projects. Since 2011 she is a contributor of Neural magazine, a critical digital culture and new media arts magazine. **Part of this article was originally published in the Open Education Europe blog as “OpenCoesione School” – An example of scalable learning format using OpenData as Educational Resources. We thank Maria Perifanou for sharing this post with us**. This posting deals with the conclusions and policy recommendations from the Adult Education and Open Educational Resources study for the European Parliament, a 140-page “Study”, written by Sero, released on 15 October 2015. The Study reviews the current use of Open Educational Resources in Adult Education in Europe (with a focus on Member States of the European Union), assesses its potential and makes recommendations for policy interventions, taking account of the European Commission’s policy frameworks and those developed by the European Parliament and relevant European agencies. The majority of the research was carried out in the first five months of 2015. Open Educational Practices are teaching techniques that draw upon open technologies and open educational resources in order to facilitate collaborative and flexible learning. There are many ideas in this space including thoughts around collaborative working, fusing post-web pedagogy, andragogy (adult learning) and heutagogy (self-determined learning). Work related to OEP is an increasingly significant part of the Open Education landscape. Dr Sofia Papadimitriou from the Ministry of Culture, Education & RA, Greece has written for us about her experience of supporting the Tutor-Counselor’s work in the Hellenic Open University using OEP. Advanced learning technologies have changed distance learning and transforms radically 21st century education. Both traditional and Open Universities approach more and more distance education, since learning is possible to happen in areas outside the traditional campus, occurring anytime and anywhere. The teacher is the key factor for improving the quality and efficiency of education. A fairly large percentage of scientists who consists the academic staff of Open Universities derived from conventional education. They have extensive expertise in their scientific field, however they lack experience and knowledge on methodological issues of distance education. Focusing on the Open Higher Education, the role of the tutor-counselor has a significant impact in completing the studies of adult students. The loss of student motivation due to the lack of interpersonal contact with their tutor-counselor and also with peers is an obstacle to successful distance education and a possible loss of the second educational opportunity which Open Universities provides to their students. Enrich and update the existing teaching material using Open Educational Resources (OER). Design and implement Open Educational Practices (OEP) based on OER to promote both collaborative and adaptive personalized learning. Engage tutor-counselor in Professional Learning Networks on their particular cognitive field. The Guide for Effective Teaching (GET) available at the URL http://support4tutors.blogspot.gr/ was developed using the methodology of distance education and the principles of adult education, aiming to implement OEP of active and inquiry based learning and creating by that, effective learning environments. The GET includes OEP based on the template of the Phoebe Pedagogical Planner by JISC UK. They are described by a detailed set of metadata as learning goals, objectives, OER used, activities, the role of tutor etc. In addition, the learning objectives for each activity are based on the four pillars of education by Unesco (1996). The proposed OEP combine tutor-counselor’s rich expertise gained so far and also the achievements of learning technologies. enhancing interactions in online Communities of Practice approaching by that socio-constructive theories of learning. The study highlights the use of OER as social objects with active learning techniques as brainstorming, debates, role playing, group working in both collaborative online or face-to-face setting. Each tutor-counselor is able to use, reuse, remix, repurpose the OEP and also share them, extending and enriching the repository. OEP are based on the pedagogical framework of experiential and active learning. The fundamental principle of experiential learning is that learners discover knowledge and develop skills via interactive learning environments, experimentation and practice. Students build practical, virtual and real symbolic representations through relevant OER in order to understand information and achieve cognitive development. A concrete set of single learner, self-paced OEP was proposed to support tutor-counselor’s work in achieving personalized learning for students who prefer an individual approach according their own pace. The Online Learning Management System LAMS was used to develop indicative OEP aiming to guide and monitor the development of assignments or essays and having the potential to provide extensive data for statistical analysis (learning analytics) towards personalized learning. OEP based on LAMS provide personalized, interactive, just-in-time, current and user-centered services. During their implementation they can be adapted in students learning needs and tutors choices so as to be more effective. Based on the analysis conclusions, methods of effective personalized learning can be redefined and redesigned. The proposed series of OEP affect critically to tutors’ effective role in social and educational context. Developing OEP based on OER provide to tutor-counselor, a repository of good practices, which they are able to expand, adapt, reuse, repurpose and remix with their everyday work approaching by that pedagogical innovation and creativity. In parallel, emphasis is given in the social context which influences each cognitive process. All three generations of pedagogy, behaviorism, constructivism and connectivism are necessary to cover the whole spectrum of educational needs of students in the 21st century. Combining pedagogies is crucial for the development of flexible content-based OEP. Enhancing tutor-counselor’s work with OER and OEP has a crucial impact and improvement to students engagement and performance, as well. They study in an effective collaborative environment, rich with new media, using a wealth of trusted and reliable resources. When students get involved actively in the learning process, high percentages of students’ drop-out from Open Universities could be reduced, too. Sofia Papadimitriou has studied Mathematics and Computer Science (M.Sc) in the Athens National University. 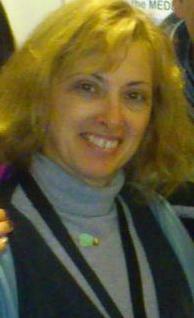 Her PhD entitled “The role of tutor-counsellor and the development of his supporting mechanism in a collaborative learning environment in distance education” regards in the field of Open and Distance Learning in Higher Education and has been developed in the School of Humanities at the Hellenic Open University. She has been an ICT Secondary teacher since 1990 and also an educator in ICT training courses for primary and secondary teachers. She has been working in the Educational RadioTelevision (Ministry of Education), since September 2007 coordinating its Social and Digital Media. Furthermore, she has coordinated 5 working groups on behalf of the Educational RadioTelevision for the European projects: EduTubePlus, MEDEAnet, March (MAke science Real in sCHools). 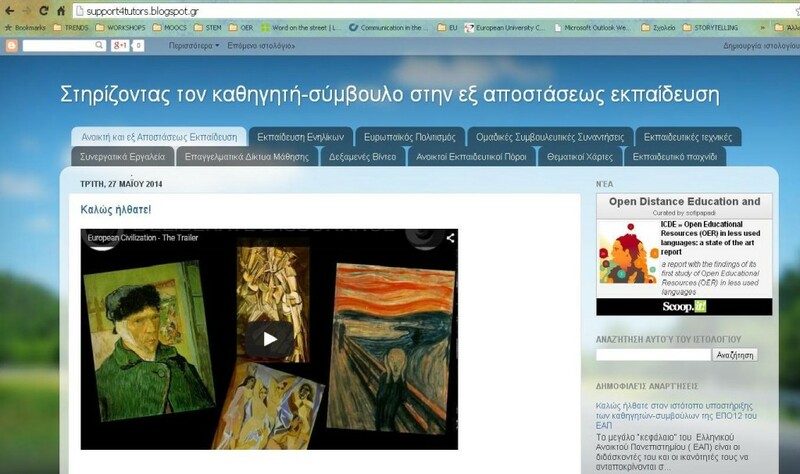 Sofia has also participated in the Energy-bits, a cross media European project distributed in Television and the Web and also at the development of the Photodentro/Educational Video, an Open Educational Resources/Video Repository for school education, designed and developed by CTI Diophantus in the framework of the reform “Digital School”. 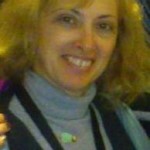 Sofia has co-authored 4 book chapters and published 31 papers in scientific conferences and journals on the topics of Open and Distance Learning, using Media in Education, Open Educational Resources and Practices, Academic staff development and STEM (papers and presentations are available at the URLs: http://eap.academia.edu/SofiaPapadimitriou, http://www.slideshare.net/sofipapadi).